I don’t know about you, but I’m a H U G E fan of the Starbucks’ Caramel Apple Spice drink. When I’ve reached my caffeine limit, that’s my drink of choice… I feel like I throw the baristas a curveball anytime I order it… (A few of them have had to reference the cheat sheet)! I microwaved a little over a cup of apple juice for about a minute. (Microwaves vary, so stay near and use microwave safe mugs). If you have an espresso machine, by all means be fancy and steam it! 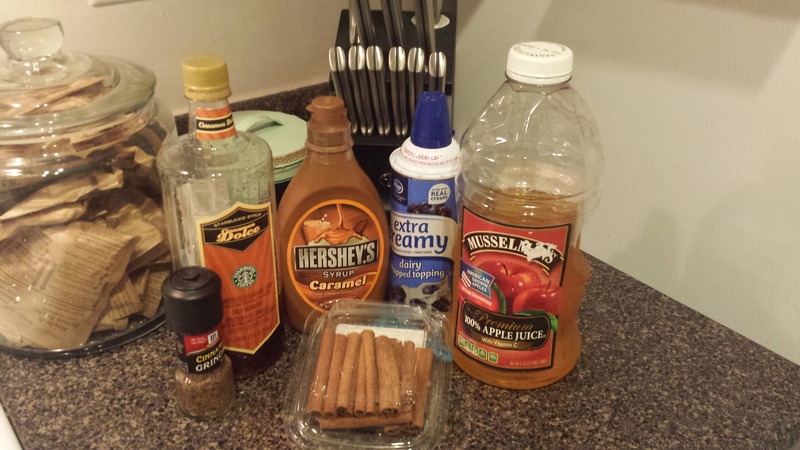 Next, add one cinnamon stick or about 2-3 pumps of cinnamon syrup. It’s really to your taste. 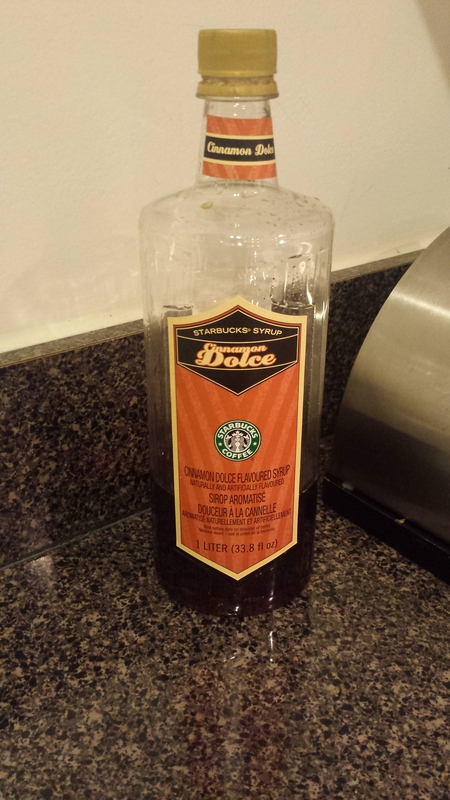 (Not all Starbucks sell their syrups… I found one generous enough to do so! I think I paid about $16 for it, but as you can see, it will last a while). 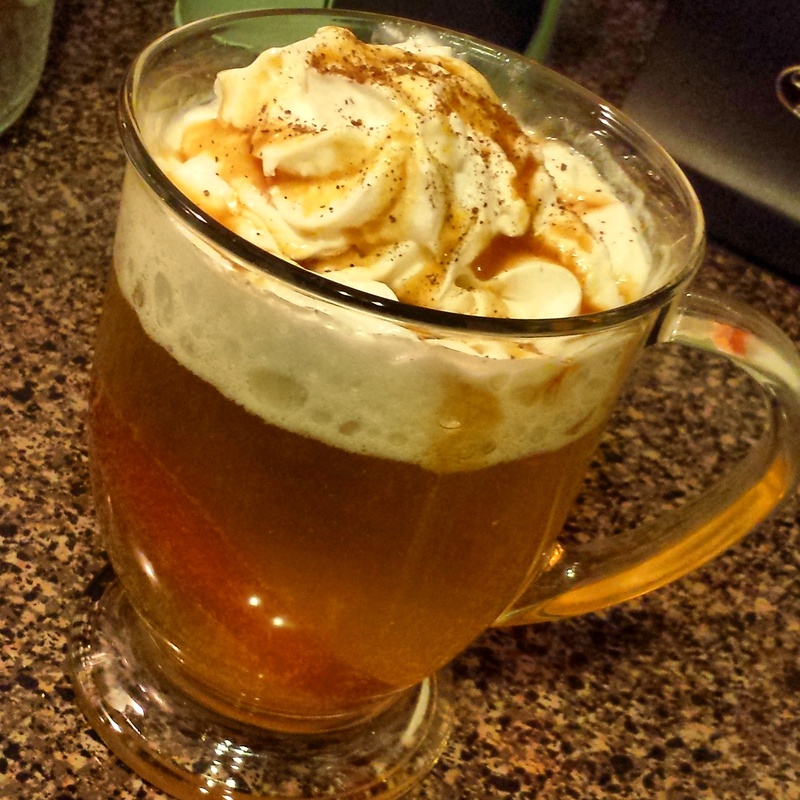 Finally, you can add your whip, caramel sauce, and ground cinnamon for taste and appeal! There you have it! You have just discovered your inner barista! Yuck, Shekerra maybe just because i’m not a Starbucks girl .